2University of Health Sciences Süreyyapaşa Chest Diseases and Thoracic Surgery Research and Training Hospital, Physiotherapy, Pulmonary Rehabilitation Unit ISTANBUL Introduction: Pulmonary rehabilitation is an interdisciplinary and comprehensive program for patients with decreased daily life activity and symptomatic in addition to medical therapy. The study was aimed to investigate the difference between pulmonary rehabilitation achievements in young and elderly patients with chronic pulmonary diseases. Materials and Method: Patients with chronic respiratory diseases who completed 8-week PR programme evaluated in a retrospective cohort study. Patients demographics, exercise capacity, quality of life score were obtained prior and after pulmonary rehabilitation were evaluated. 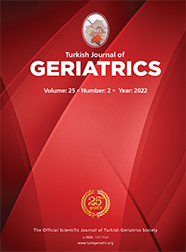 Patients were evaluated in 2 groups; young (age <65 years) and elderly (age≥65 years) patients. Results: A total of 73 patients, 58 men with mean age 61±10 was evaluated. There were 55 Chronic obstructive pulmonary disease, 8 bronchiectasis, 5 interstitial lung disease, 5 kyphoscoliosis. There were 42 patients in younger patient group and 31patients in elderly group. The distribution of chronic obstructive pulmonary disease and other chronic respiratory diseases, comorbidities, gender, oxygen treatment, Modified Medical Research Council dyspnea score, St.Georges Respiratory Questionnaire score among young and elderly patients were similar (p>0.05). In both age groups after pulmonary rehabilitation, significant improvement in exercise capacity (p=0.001) and St.Georges Respiratory Questionnaire score (p<0.05) was obtained.